Your day-by-day itinerary now includes The Old Storehouse, Brannigans, Dublin Castle, and other attractions you added. Kick off your visit on the 29th (Sat): enjoy the scholastic atmosphere at Trinity College Dublin, don't miss a visit to The Book of Kells and the Old Library Exhibition, raise your glass at Mulligan's, head outdoors with Lazy Bike Tours, then admire the striking features of Christ Church Cathedral, and finally take a stroll through Temple Bar. On the 30th (Sun), you'll have a packed day of sightseeing: admire the landmark architecture of Saint Patrick's Cathedral, sample the tasty concoctions at Guinness Storehouse, see the interesting displays at Kilmainham Gaol, then explore the historical opulence of Dublin Castle, then savor the flavors at Brannigans, and finally take in the local highlights with Traditional Irish Musical Pub Crawl. To find photos, traveler tips, maps, and more tourist information, go to the Dublin itinerary maker. Charlotte, USA to Dublin is an approximately 11.5-hour flight. Due to the time zone difference, you'll lose 5 hours traveling from Charlotte to Dublin. Traveling from Charlotte in April, expect nights in Dublin to be a bit cooler, around 39°F, while days are colder, around 54°F. Finish up your sightseeing early on the 1st (Mon) so you can go by car to Kilkenny. 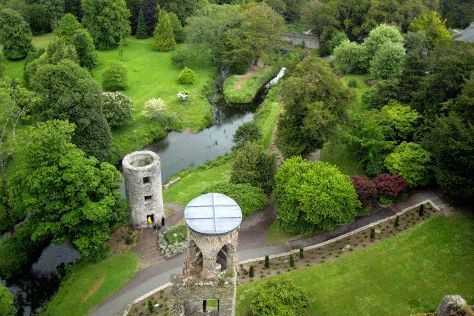 St. Canice's Cathedral & Round Tower has been added to your itinerary. To find traveler tips, photos, more things to do, and more tourist information, go to the Kilkenny holiday planner. Drive from Dublin to Kilkenny in 1.5 hours. Alternatively, you can take a bus. Expect a daytime high around 57°F in May, and nighttime lows around 48°F. Wrap up your sightseeing by early afternoon on the 1st (Mon) to allow time for the car ride to Cork. Your day-by-day itinerary now includes Ceili by the Lee, Cobh Cathedral and Holy Trinity Church. On the 1st (Mon), contemplate in the serene atmosphere at Holy Trinity Church, then admire the landmark architecture of St Fin Barre's Cathedral, and then expand your horizons at Ceili by the Lee. Keep things going the next day: explore the historical opulence of Blarney Castle & Gardens, take an in-depth tour of Cork City Gaol, contemplate in the serene atmosphere at St. Anne's Church, then examine the collection at Titanic Experience Cobh, and finally take in the spiritual surroundings of Cobh Cathedral. To find photos, more things to do, and more tourist information, read Cork online itinerary creator. You can drive from Kilkenny to Cork in 2 hours. Another option is to take a bus. May in Cork sees daily highs of 57°F and lows of 45°F at night. Finish up your sightseeing early on the 3rd (Wed) so you can go by car to Killarney. Your day-by-day itinerary now includes Ring of Kerry, Courtney's Bar and Gap of Dunloe. Start off your visit on the 3rd (Wed): contemplate in the serene atmosphere at Muckross Abbey, then tour the pleasant surroundings at Muckross House, Gardens & Traditional Farms, then admire the verdant scenery at Gap of Dunloe, and finally have a few drinks at Courtney's Bar. 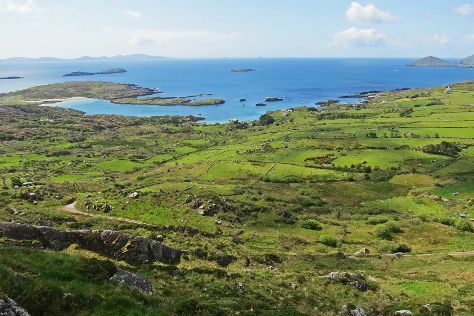 Get ready for a full day of sightseeing on the 4th (Thu): head outdoors with Ring of Kerry. For reviews, other places to visit, more things to do, and tourist information, read Killarney itinerary planner. Traveling by car from Cork to Killarney takes 1.5 hours. Alternatively, you can take a bus. In May, daily temperatures in Killarney can reach 57°F, while at night they dip to 47°F. Wrap up your sightseeing on the 5th (Fri) early enough to drive to Liscannor. A world-famous center of traditional Irish music, Doolin occupies a dramatic location on Ireland's windblown Atlantic coast. Doolin Cliff Walk has been added to your itinerary. For where to stay, ratings, traveler tips, and tourist information, go to the Doolin travel itinerary creator. Drive from Killarney to Doolin in 2.5 hours. Alternatively, you can take a bus. In May, plan for daily highs up to 60°F, and evening lows to 46°F. Wrap up your sightseeing by early afternoon on the 5th (Fri) to allow enough time to drive to Galway. Quay Street has been added to your itinerary. 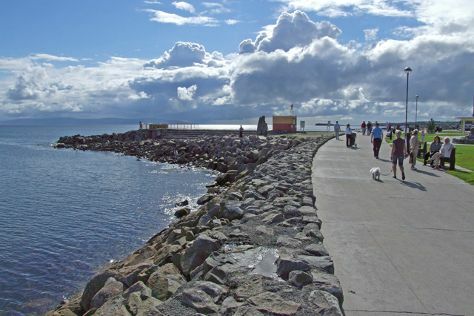 On the 5th (Fri), contemplate in the serene atmosphere at Galway Cathedral, then appreciate the extensive heritage of Salthill Promenade, and then don't miss a visit to Quay Street. To find maps, more things to do, reviews, and tourist information, read Galway custom trip planner. Drive from Liscannor to Galway in 1.5 hours. Alternatively, you can take a bus. May in Galway sees daily highs of 60°F and lows of 46°F at night. Finish your sightseeing early on the 7th (Sun) to allow enough time to travel back home.